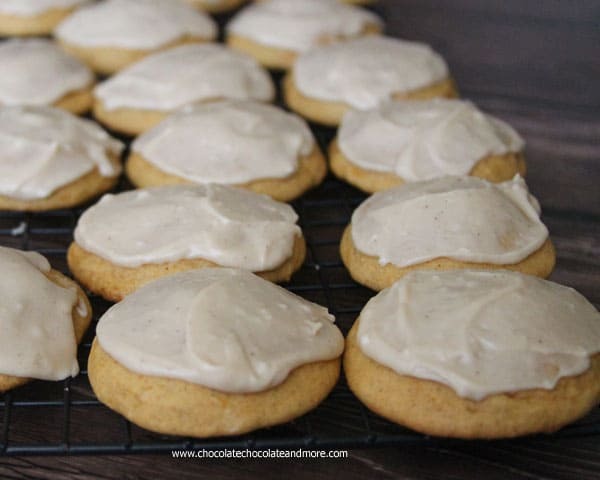 Frosted Pumpkin Cake Cookies - Chocolate Chocolate and More! 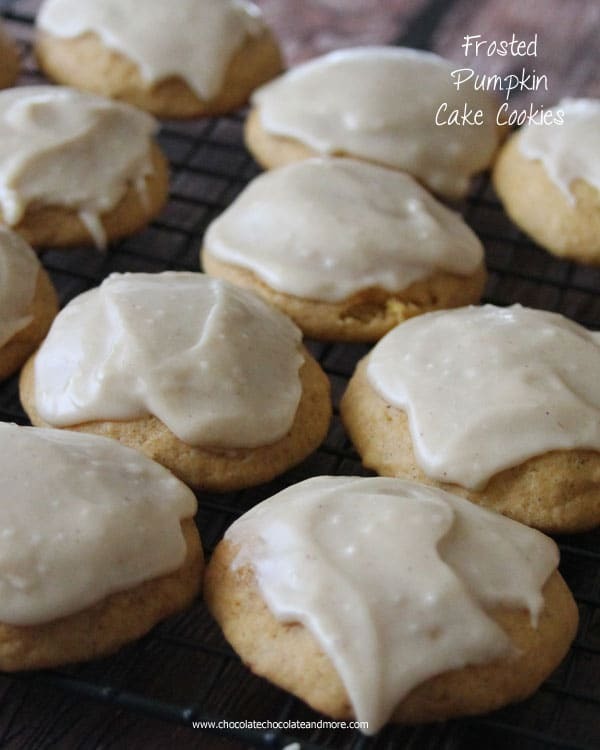 Frosted Pumpkin Cake Cookies-made from scratch, the perfect pumpkin flavor with a cake like texture and a rich caramel frosting! It’s that time of year again. If you’ve followed me for any amount of time, you already know, Pumpkin is not my favorite thing. 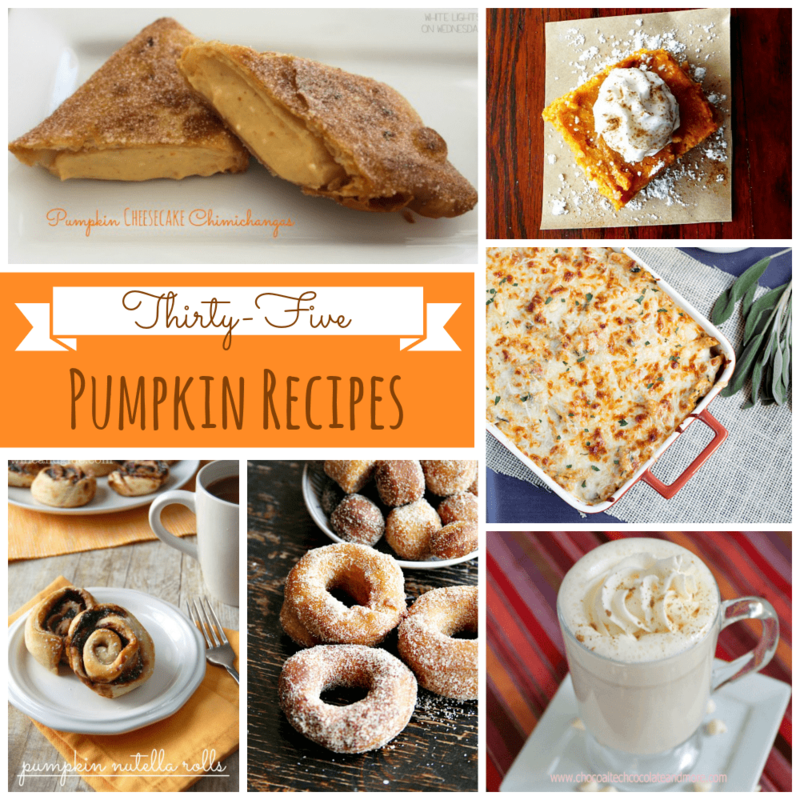 Give me Chocolate, Vanilla, Peanut Butter, Caramel or fruit flavors any time before pumpkin. But I feel like I’m back in high school. Seeing everyone on the pumpkin craze. It’s all over Facebook and Pinterest, even Instagram. I can’t escape it. It’s like the cool clothes everyone else is wearing. I can’t be left out. The only one not keeping up with the latest trend. 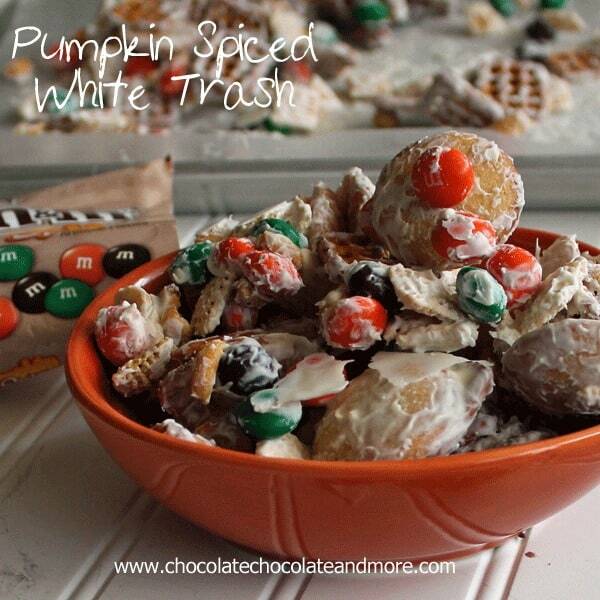 To be fair to pumpkin, I don’t hate it. It’s only in it’s purest form, Pumpkin Pie, that I can’t handle. And it’s more of a texture thing than anything else. There is no hiding what a pumpkin pie is. 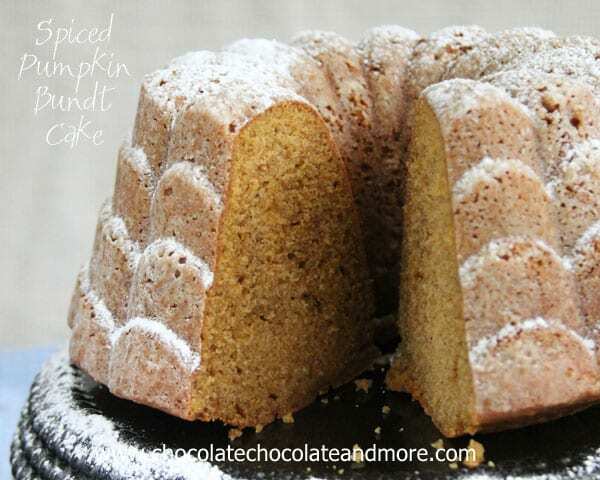 Baked Pumpkin with a few spices thrown in. It just looks gross to me. And for all you Pumpkin Pie lovers out there, I’m sorry if I’m offending, just think of it this way. More for you. Since I want to be a good foodie. I’ve tried to embrace pumpkin over the past few years. Be a “grown up” and try new things. I make my kids to it. Just ask my middle child, Cassie. She may be the pickiest eater on earth and I still make her have a thank you helping of anything we serve for dinner. (I really should video it sometime, it’s comical the way she gets it over with.) She’s become resigned to her fate and just deals with it. 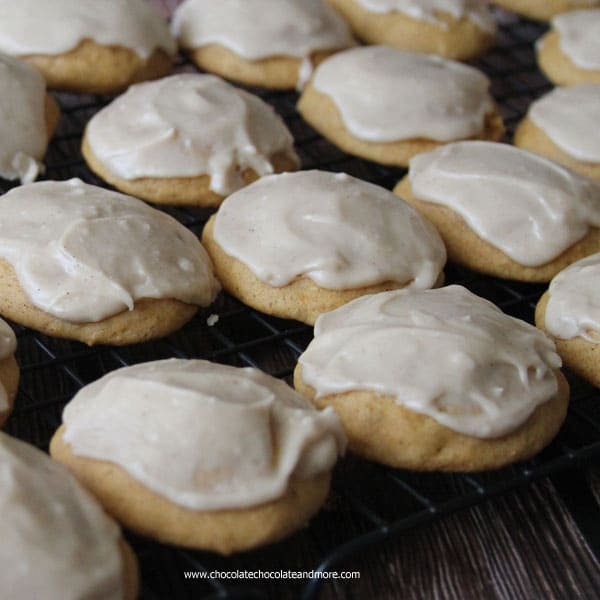 Knowing that pumpkin, applesauce, even mashed banana are pretty much interchangeable in recipes, I decided it was time to make a Pumpkin cookie. I ended up loosely adapting a recipe from Chef In Training. Her Applesauce Cookies just called to me. Who doesn’t love a frosted cookie? These cookies are more cake like in texture. They stay soft, have a fine crumb, and the Pumpkin Pie Spice tickles your taste buds with every bite. Not overly sweet, the frosting is the prefect complement for those with a sweet tooth. Add in eggs, pumpkin puree and vanilla, beating well to blend. Mix together four, baking soda, baking powder Pumpkin Pie Spice. 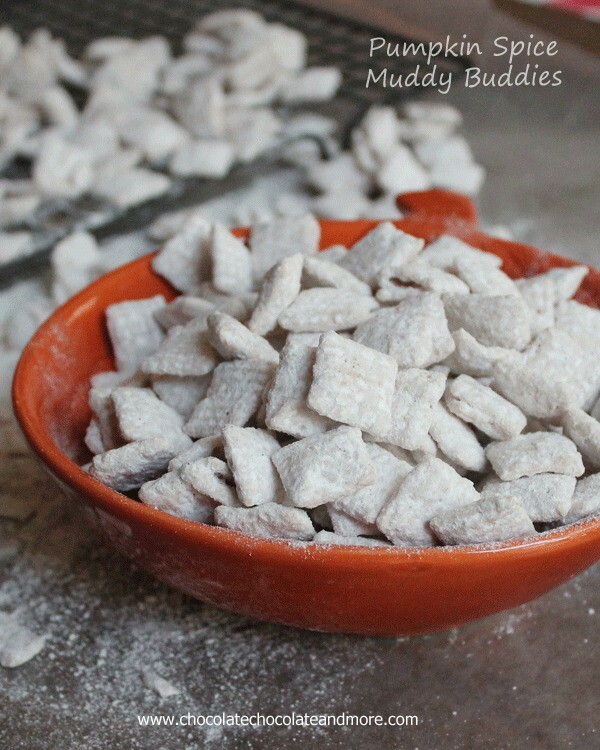 Gradually add flour mixture until all combined. Drop by teaspoon full (or using a medium cookie scoop) onto a greased baking sheet. Bake in a preheated 350 degree oven for 9-10 minutes. Remove from oven and let cookies cool completely on wire racks before frosting. In a medium saucepan, over medium heat, bring butter, cream and brown sugar to a boil, stirring constantly. Once boiling, remove from heat and stir in vanilla. Let cool completely, then stir in powdered sugar. Frost cooled cookies as desired. Joan these cookies are just amazing!!! 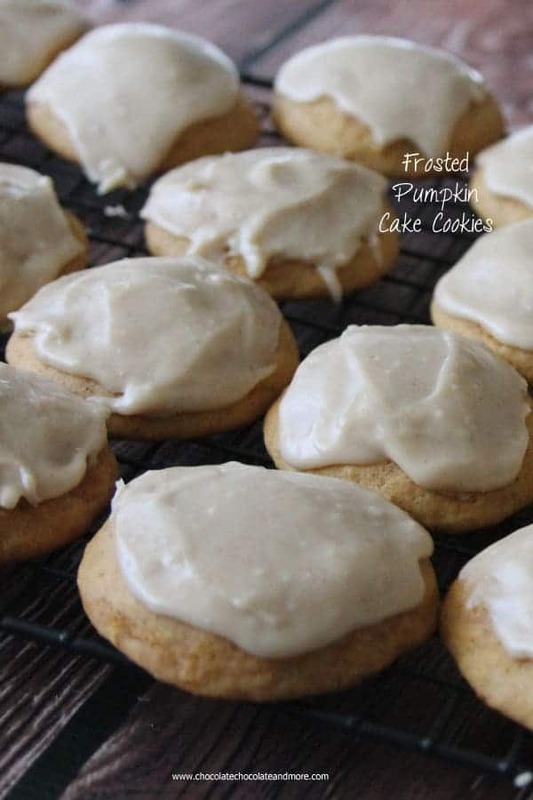 I love soft cookies, and these look delicious with the frosting. Thanks! These cookies were a real hit!! 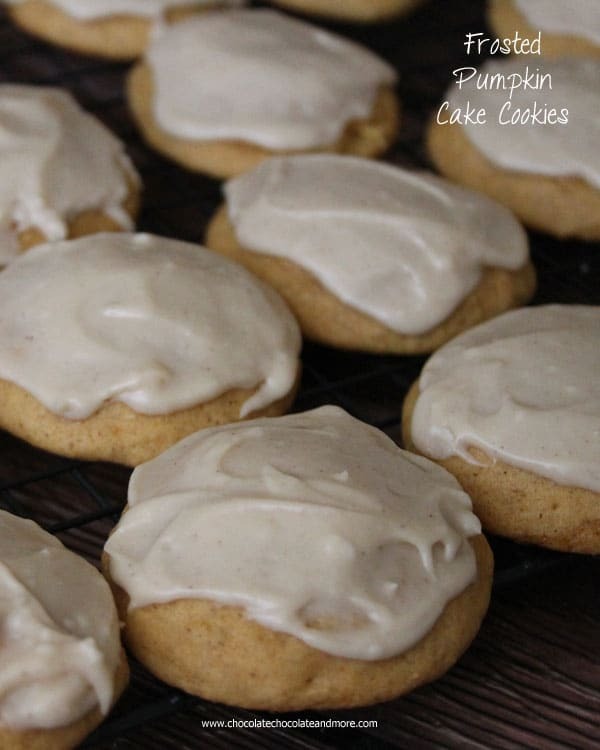 I was leary of the frosting because of so much brown sugar and confectioner’s sugar but it was definitely not too sweet and was perfect on this pumpkin cookie. I took a batch of these to a Halloween party and everyone raved about them and wanted the recipe. Normally I am not a big fan of pumpkin myself but decided to taste these and I was sold immediately! Thank you for such a wonderful recipe!! !